HP has a pretty steep uphill battle ahead of them, especially with their upcoming TouchPad tablet. The iPad is still the dominant force in the tablet market, and even the Android juggernaut is only slowly gaining market share. 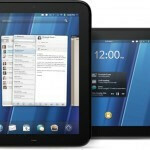 Meanwhile, HP has yet to prove that webOS can be a commercial success on any device, let alone a tablet. But, of course, HP doesn't need to let the merits of webOS stand on their own in order to pull in users, they can always give stuff away for free. In an interesting deal, TouchPad buyers will be getting 50 GB of free cloud storage from Box.net. This deal was unearthed by a Walmart employee who was just playing around with a demo unit of the TouchPad. Box.net offers a lot of really cool features including integration with Google Apps, Salesforce CRM, NetSuite, and a host of other services through powerful API tools. Unfortunately, there's no way to know how long this deal may last. Box.net users get 5 GB of storage for free, but the 50 GB plan is $20 per month. So, while the storage may be free at first, it seems like something that you'd have to pay for eventually if you want to keep it. Or you could just buy a domain and shared hosting for much cheaper. A comparable plan from aplus.net would be 100GB for $10/mo with email accounts!http://www.aplus.net/hosting/business/ Box.net is great - I use it but primarily as a means for transferring from my desktop to my android phone, and I use the free service for 5GB.